Dr. Roberta Casagrande-Kim is research associate at the Institute for the Study of the Ancient World and assistant manager of exhibitions and publications at the Onassis Foundation USA. She is the co-curator of a new exhibition Romance and Reason: Islamic Transformations of the Classical Past that opened recently at the Institute for the Study of the Ancient World (ISAW) at New York University. Several early manuscripts from NLM historical collections are on display. This is the largest and most significant loan of collection material by NLM to a cultural institution for exhibition. Circulating Now interviewed Dr. Casagrande-Kim about the exhibition. Roberta Casagrande-Kim: I was born in Turin, Italy, and I moved to New York in 2001 to pursue a Ph.D. in Roman Art and Archeology at the Department of Art History and Archaeology at Columbia University. I currently work for the Onassis Foundation USA where I manage the planning and implementation of exhibitions of ancient art as well as the production of their accompanying catalogues. In my free time I enjoy curating exhibitions (when I get a chance to). Romance and Reason is a perfect example of a stimulating collaboration with two co-curators, as well as among many museums, libraries, and cultural institutions. I am also actively involved in archaeological excavations: since 2006 I have been part of the team excavating the late antique site of Amheida, the ancient capital of the Oasis of Dakhla, in the Egyptian Western Desert. Since 2016, I have also been working at the site of Kinik Höyük in Southern Cappadocia (Turkey), where I investigate the Hellenistic phases of a site that originated in the Hittite period. In the little time left, I study and publish on a variety of topics that draw my interest: my last two publications are an article on gem collecting during the Roman period, and a monograph, together with other scholars, on the graffiti at the basilica of Smirna (modern Izmir, Turkey) dated to the Imperial and Late Antique period. CN: You’ve just finished work on the exhibition, Romance and Reason, that opened recently, what sparked your interest in curating this exhibition? RCK: I was immediately intrigued by the transformation of Alexander the Great into Iskandar in the Persian epic poems. I wanted to explore to what degree Islamic culture assimilated true and fantastic aspects of Alexander’s life and adventures as narrated in ancient Greek and Roman historical treatises and, more importantly, in the so-called Alexander Romance. I also was captivated by the degree of “persianization” of the character of Iskandar: the manipulation of the stories about Alexander created a new character that reflected the interests and aspirations of the Persian ruling dynasties. The subject of Islamic assimilation of the ancient past pushed me to also look beyond Alexander, thus opening the exhibition to the investigation of the role of ancient exact sciences in Medieval Islam. CN: Tell us something we probably don’t know about Alexander. The historian Arrian of Nicomedia (ca. 86–160 CE) describes in his Anabasis a trip that Alexander took in February 332 BCE to the oasis of Siwa, in the Lybian desert, to consult the oracle of Ammon, a Lybian divinity. 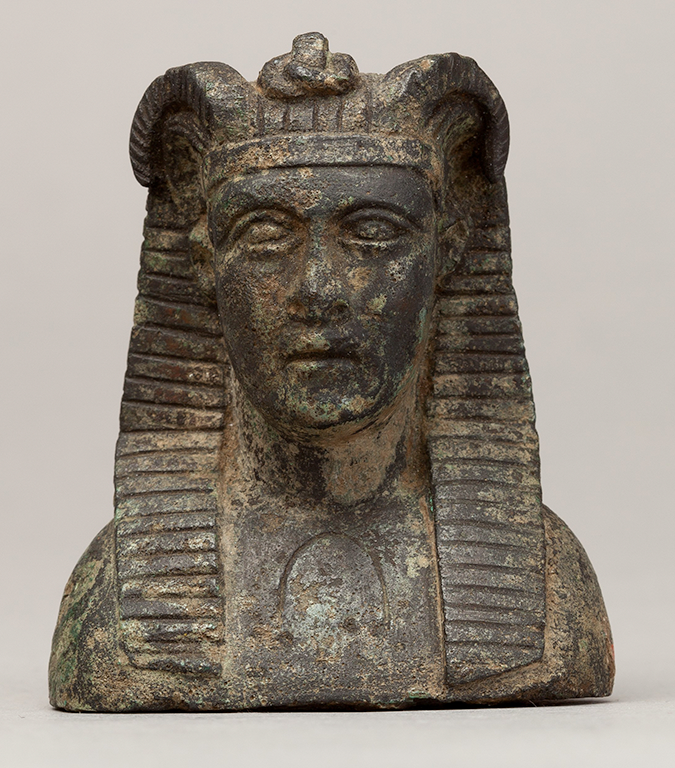 Ammon was usually shown with the horns of a ram and entered the Egyptian pantheon as a manifestation of the Egyptian god Amun. While Alexander’s question to the oracle remains unknown, Arrian reports that he received “the answer that his heart desired.” As a result of the trip, Alexander presented himself as the son of Ammon: coins and statuettes were produced portraying him with ram’s horns. The episode of the oracle of Ammon was included in the Alexander Romance. This tradition of the horned Alexander also appears, in a different guise, in the Quran. In the exhibition we display a copy of Chapter eighteen (Surat al-Kahf [the Cave]), which refers to a cryptic figure known as “the Two-Horned One” (in Arabic, dhu al-qarnayn). The text relates that “the Two-Horned One” traveled east and west, meeting different peoples, and built a metal wall to protect against Gog and Magog—all motifs that were taken up in the later Persian Alexander epics. Most Medieval Islamic commentators have identified dhu al-qarnayn as Alexander the Great. Though the Quran only devotes sixteen verses to the story of “the Two-Horned One,” the reference is amplified and expanded in Muslim literature where Alexander is transformed from conqueror to faithful prophet and mystical seeker. In the late Persian prose work The Story of Iskandar, The Two-Horned One, which draws on the Quranic story and its commentaries, the Persian epics, and popular folktales, Iskandar is even depicted as having actual horns. CN: More broadly, the exhibition explores the exchange of images and ideas between people and nations between the 8th and 10th century CE, what do these texts tell us about medieval Islamic culture? RCK: The exhibition is an eye-opener, for people like me who do not have a background in Islamic studies, on the fundamental and defining role of Medieval Islamic scholars in the assimilation and reformulation of Classical scientific knowledge as well as of Classical culture. More broadly, the manuscripts on view in the exhibition show how Islamic thinkers and artists conveyed, conceived, and reimagined—in words and in pictures—the ancient Greek classical heritage. CN: The National Library of Medicine is pleased to have loaned eleven early manuscripts for the exhibition, what part of the narrative of Romance and Reason do these works inform? 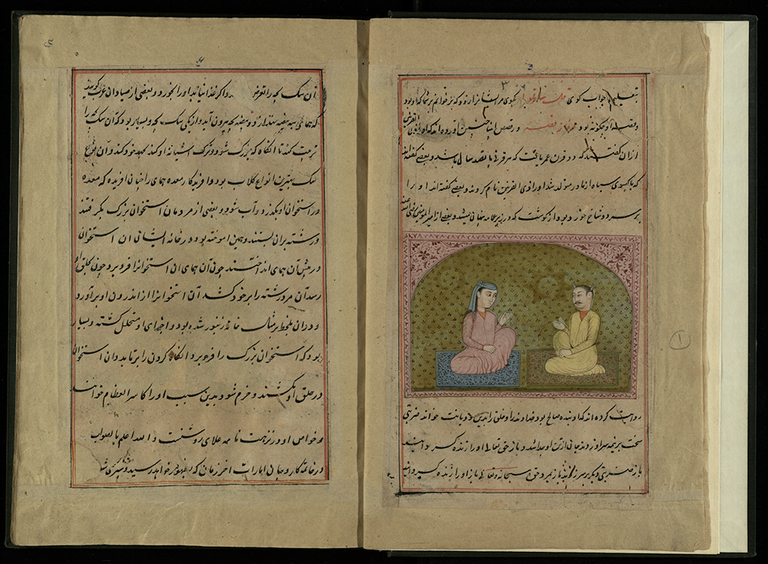 RCK: The manuscripts generously loaned by NLM constitute the core of the exhibition’s investigation on the exact sciences, presenting to the public a series of images and texts that cover the Islamic interest in mathematics, astronomy, astrology, and medicine. 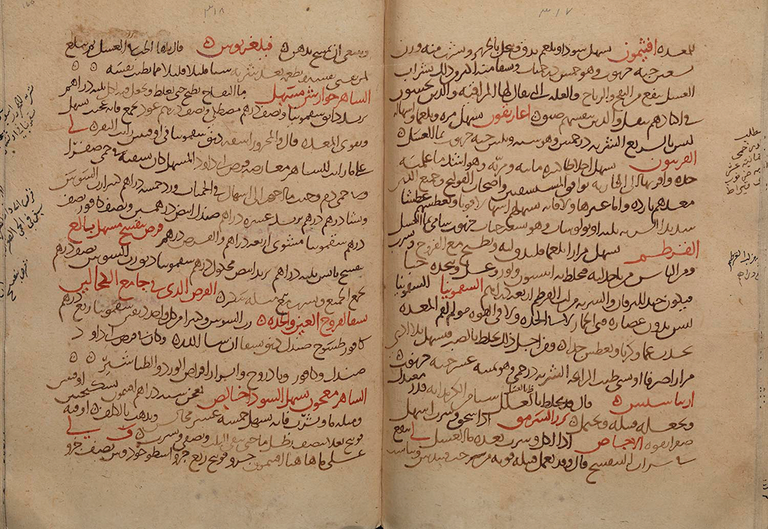 Arabic copy of Canon of Medicine by Avicenna, Early 15th century. On display is one of the only four complete Arabic copies of Canon of Medicine by Avicenna, an encyclopedia that systematized, critiqued, and developed the traditional Greek Galenic medical theory. Widely read among Islamic physicians, it was commonly used in its Latin editions as a textbook for medical training in European universities, and inspired a new medical literature of abridgments, epitomes, and commentaries. This copy is decorated with illuminated openings made at one of the many flourishing Iranian workshops where manuscripts were copied, compiled, and illuminated, often for the libraries of the Timurid rulers (1370–1507 CE), who were great patrons of the art of books. 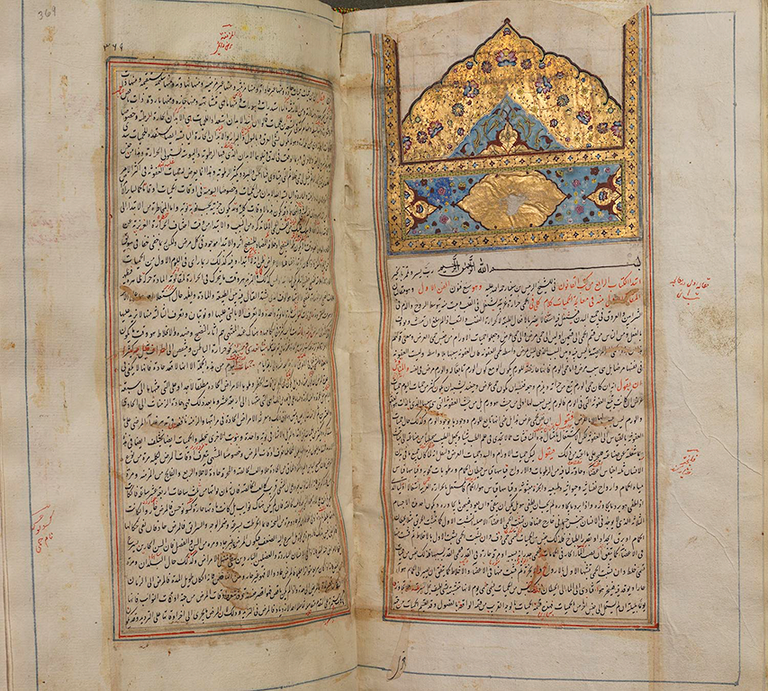 In the exhibition is also the third-oldest known Arabic manuscript, dated to November 30, 1094, comprising the third section of the Comprehensive Book on Medicine by Abu Bakr Razi, a prolific writer of texts on medicine, alchemy, astronomy, and philosophy. This treatise was posthumously assembled as a notebook collecting extracts of Razi’s works on diseases and therapies, as well as his personal observations and interpretations of clinical cases. Among the most intriguing images in the “scientific” part of the exhibition, are two representations of the human body (illustrations of the venous and skeletal systems) from two NLM copies of the Mansur’s Anatomy. Full depictions of various body systems first appeared in Islamic medical literature as illustrations to Mansur ibn Ilyas of Shiraz’s Persian treatise on surgery. His Anatomy was influenced primarily by Galen’s anatomical studies and Aristotle’s embryological theory. Comprising five books, ibn Ilyas’s work focused on the bones, nerves, muscles, veins and arteries, and compound organs. All five books were accompanied by diagrams of the body that were possibly inspired by medieval Latin Western works rather than earlier Greek sources. CN: You’re an archaeologist, what’s it like to work on a project entirely based on books? RCK: I believe that “digging” in a library or museum looking for books or artifacts to populate an exhibition’s checklist is not that different from digging in the field. In both instances, we are looking for answers to specific questions we have about the past. In both instances, the results of our quest are objects (or architectures, in the field) that speak to us of cultures, civilizations, and societies that continue to play a major role in shaping what are today’s traditions and cultural and moral values. Also, exhibitions and excavations (especially if they result in sites open to the public) are two ways in which scholars of antiquity share their knowledge of the past, or of aspects of it, with the general public. 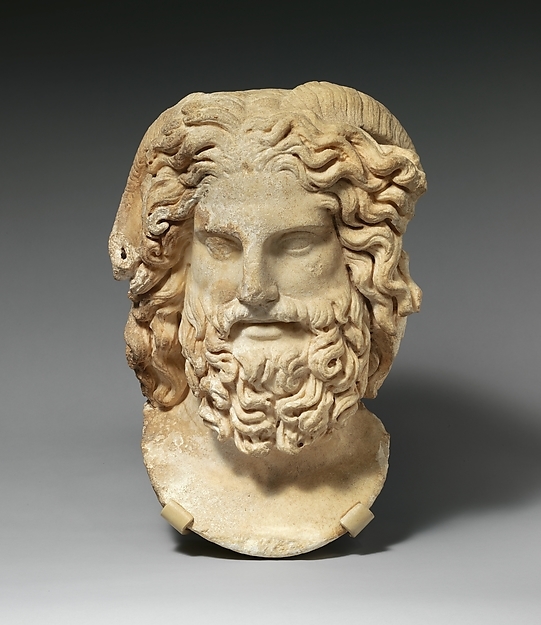 Visit Romance and Reason: Islamic Transformations of the Classical Past at the at the Institute for the Study of the Ancient World (ISAW) at New York University now through May 13, 2018.